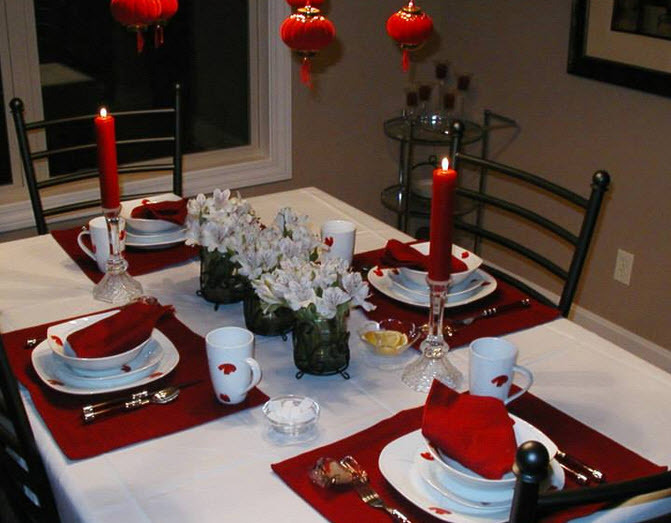 Folks who know me, know that I love tablescapes! 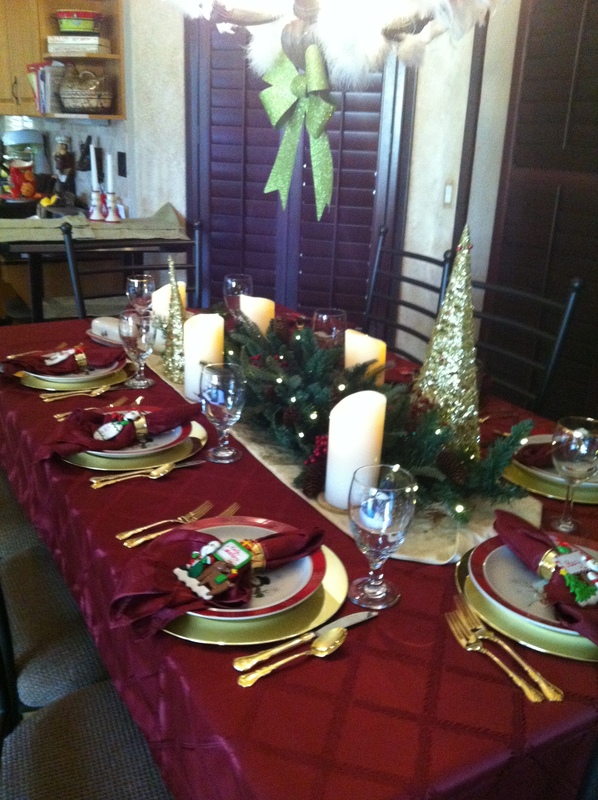 I get such joy out of setting a pretty table. 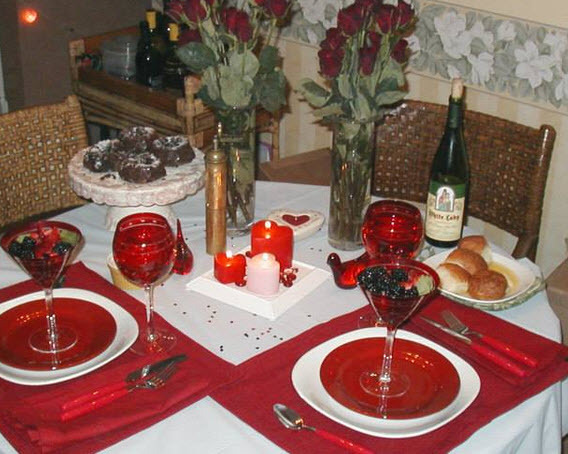 Do I set a special table every day? 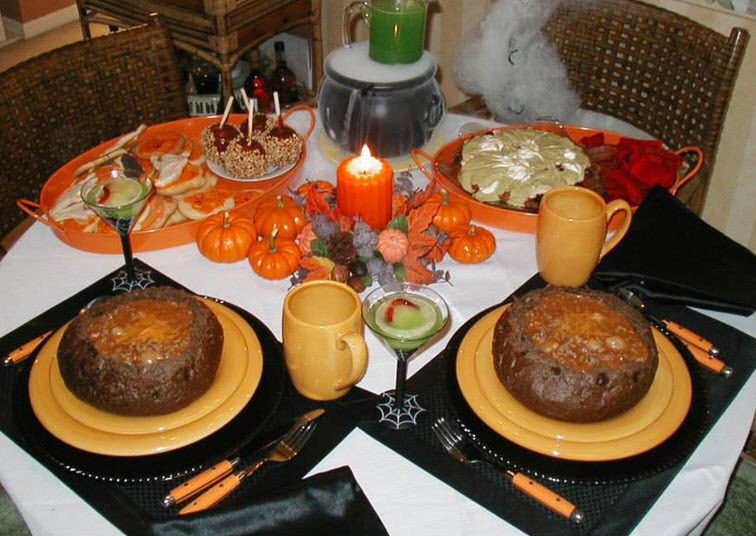 However, most of the time, I do try to make the everyday table attractive. That is not to say I haven’t grabbed a paper plate and cup for a quick sandwich at lunch, especially if I am eating alone. but I always have a full set of flatware. You just never know when you might need a knife or perhaps a spoon. 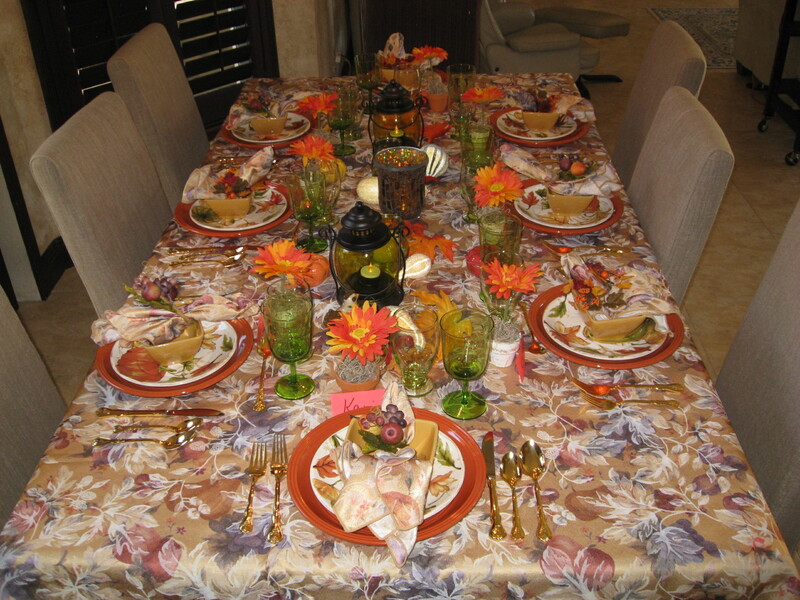 Below is a few of my favorites….pics of tablescapes I have used in the past. Lighting makes the table cloth look blue…actually it is a pale lavender. This was Cherry Blossom Time…. This was St. Patrick’s Day…. 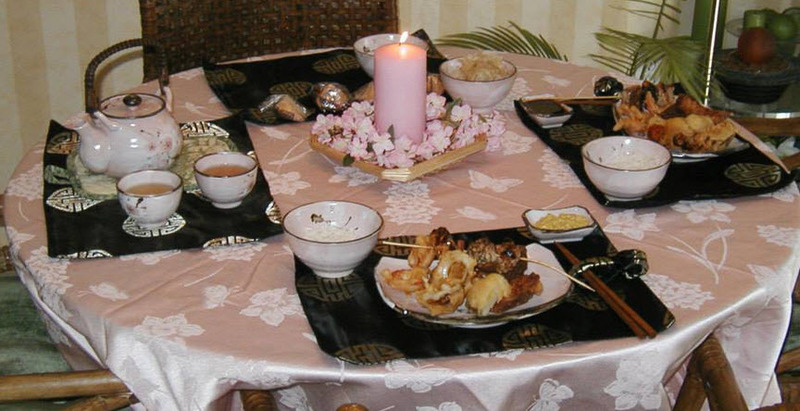 This was Chinese New Year…. This was New Years Eve….. These are just a few of the major Holidays! 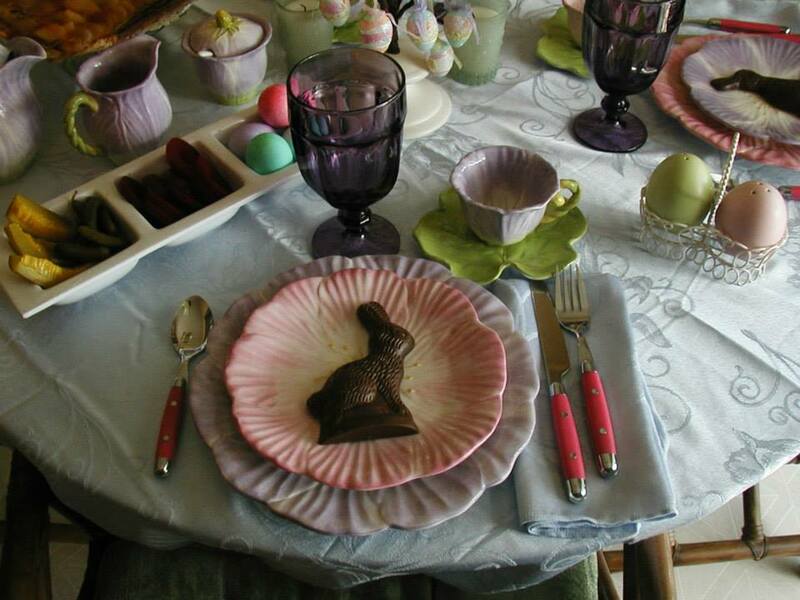 There are many more sets of dishes and flatware. The Captain had to build me a special closet with heavy duty shelving. I told you I am weird…. 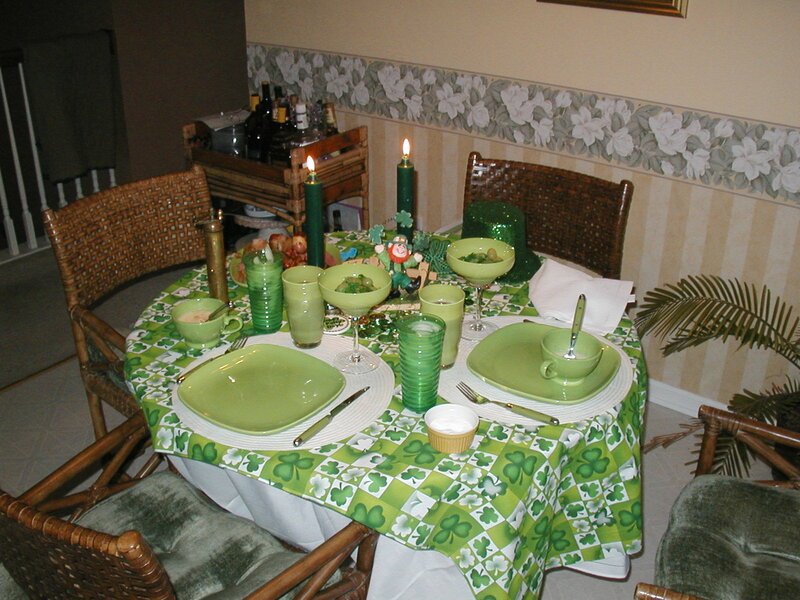 Don’t encourage me …… as I have tablescapes for Cinco de Mayo, 4th of July, Labor Day, Crab Boil, President’s Day, Summertime Picnic, Memorial Day, May Day, First Day of Spring, Mardi Gras, Seafood Open Season, Arbor Day, First Day of Winter, Ground Hog Day, First Day of Fall, Birthdays, Anniversaries and pretty much any day that I can use as a special day. Do you think I need an intervention? They are lovely, Kari. 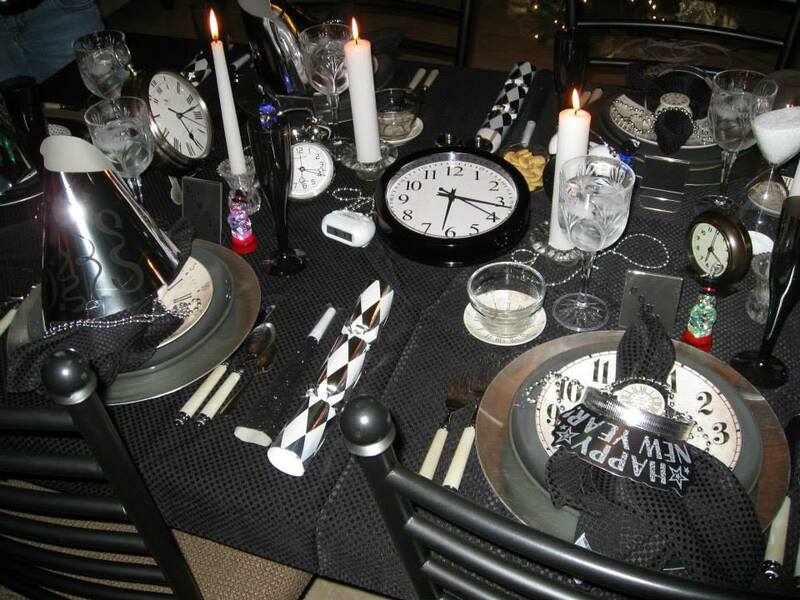 I want to see the other special tablescapes. Thanks Sandy….I will post more soon.